Problem: Make it so that parties are associated with Shake. Shake cocktails are drinks for young party goers, fashion lovers, and style followers. 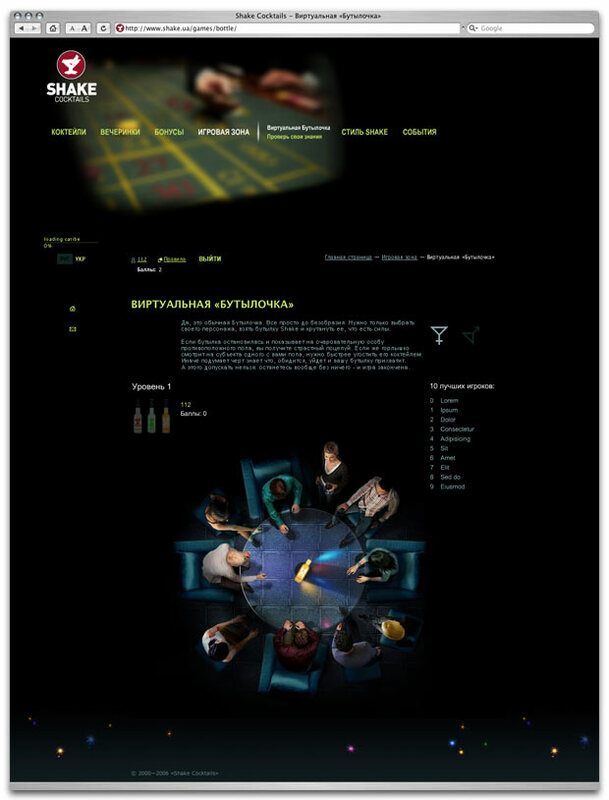 The site introduces users to 13 kinds of the cocktails and helps them learn about how to throw a theme party. Visitors share the recipes of a good holiday and get information about the trendiest events according to Shake. Registered users take part in local entertainments and earn points to get keepsakes in an online store as a reward.